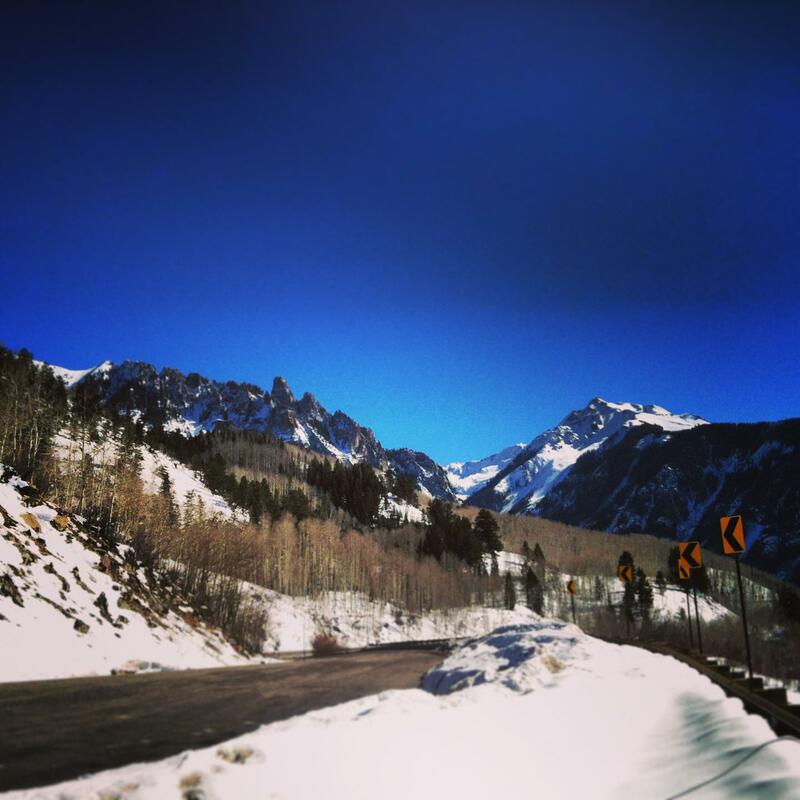 This last week I was fortunate enough to take a little getaway to Telluride with my boyfriend. 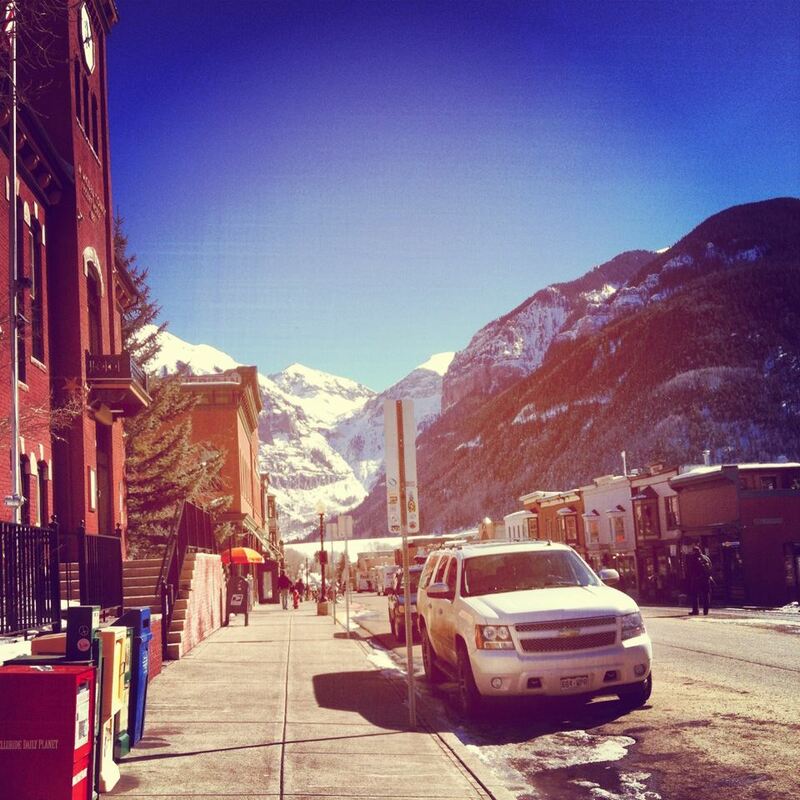 We’ve visited Telluride before, and it never disappoints. I loved that while we came right on the tails of a winter storm that brought about 35″ of fresh snow, the town itself still remained fairly quiet. On Tuesday, we had perfect weather- 45 degrees and full sunshine. It felt like Spring! We spent some time exploring highway 145 and the area near Lizard Head Pass. I love bluebird days- when there is not a cloud in sight, and pure, blue Colorado sky. Now I’m back in Vail and back to business. The last two months I’ve been hard at work on my new wedding/special event cake business. Many hours (and still counting) have been devoted to developing my cake menu and building my portfolio. My cakes are unique in the sense that they are composed much like a plated dessert- contrasting textures and flavors in every bite. I guess that’s the pastry chef in me. Why have only one type of cake and filling when you can have several? I also like to give my cakes extreme attention to detail- whether it be sugar feathers, thin fabric-like ruffles, or delicate gumpaste flowers. You can check out my whole portfolio and flavors at Megan Joy Cakes. But the real reason this post exists today is to share my soft pretzel recipe. I used to make these for staff meal sometimes at the restaurant and they were always a hit. You can leave them as is and eat them plain and they will be delicious. But I recommend playing around with them once you get comfortable with the recipe. Just think of your favorite pretzel places and what toppings they use that you enjoy best. I like to mix a little chili powder, chipotle chili powder, paprika, salt, and sugar together and sprinkle it over the tops before I bake them. When they’re done baking, sprinkle them with shredded cheddar cheese and put them back in the oven for a minute to melt the cheese. Delicious, cheesy goodness awaits. Combine the warm water and yeast in a medium-sized bowl and let sit for a few minutes until the yeast is activated and foamy. Add the flour, salt, and sugar and mix until the dough starts to form a ball. Knead for 6-7 minutes or until the dough forms a "gluten window". A gluten window is formed when a small piece of dough can be stretched into a square shape between your thumbs and index fingers. If the center of the square is stretched thin without the dough tearing, your "window" is formed. If the dough tears before it can be easily stretched, then knead it a few minutes longer. Place the dough in a greased bowl and toss once to coat the top. Cover with plastic wrap and let rise for about 20-25 minutes, until the dough has doubled in size. Once the dough has proofed, turn it out onto a lightly floured surface. Cut the dough into 6 pieces. Roll each piece into a 16" rope. Bring the two end pieces up and twist to form a pretzel. Place the pretzels on a greased and parchment-lined baking sheet, spaced two inches apart. Combine the water and baking soda. Using a pastry brush, generously coat each pretzel with the baking soda mixture. You won't use all of it. Sprinkle with salt, if desired. Place the pretzels in the oven and bake for about 15-20 minutes, until they are a deep golden brown. Note: This recipe was adapted from high altitude baking. 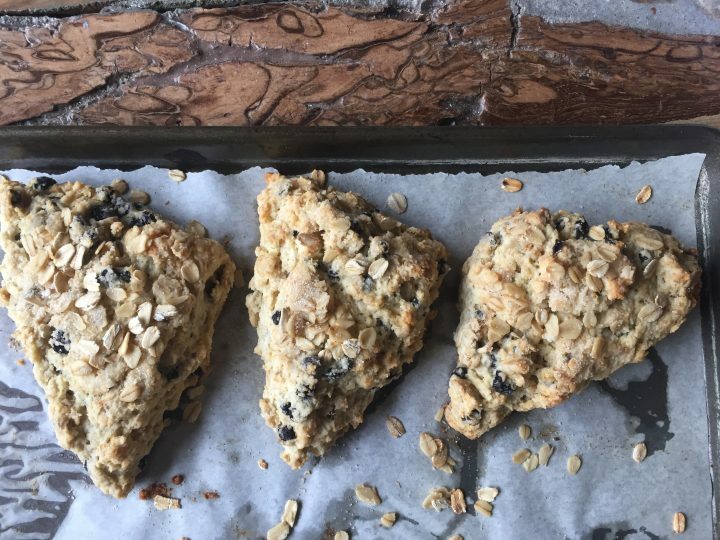 To make these at sea level, increase the yeast to 1 3/4 teaspoons. Your rising time will also be about twice as long. These look so doughy and perfect. I’m such a sucker for soft pretzels….. 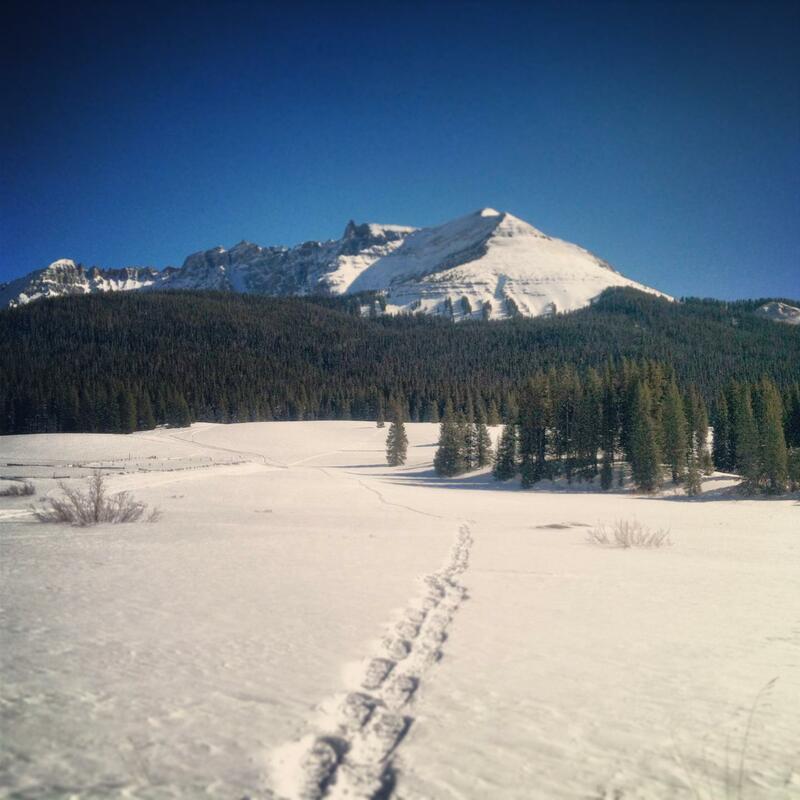 Sounds like a great trip to Telluride- one of the few ski towns I’ve yet to visit. I’d love to get there! Thank you for providing a solution to my altitude problems. I just moved from Southern California to Denver and am having such a hard time baking. I made these pretzels today and they are beautiful but I wish they had a more yeasty taste – mine came out very bland. Any suggestions? Hi Christine, if you wish for a more yeasty-tasting pretzel, allow the dough to rise longer. After the first rise punch the dough down and let rise again in the bowl, before shaping. You may notice a greater difference by letting the dough rise overnight in the refrigerator. The cooler temps will make the dough rise slower, and give you a more concentrated yeast flavor. The next day, shape and proceed. I just wanted to ask can the soft pretzel recipe be doubled or do i have to make 2 batches? Hi Lindsey, yes you can double the recipe.